All moving boxes are sold in bundle quantities only. You must order in multiples of the bundle quantity. 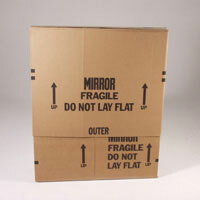 We offer a full selection of moving boxes. We have top quality boxes at rock-bottom prices. If you are looking for something you don't see on our site, please give us a call at 800-464-3100.